WASHINGTON -- A teen driver who died a few days after a July car crash near Pittsburgh has been tentatively identified by the government as the eighth death in the U.S. due to an explosive air bag made by auto parts maker Takata, federal transportation officials said Wednesday. The National Highway Traffic Safety Administration officials also announced a significant expansion of the recall of U.S. vehicles with Takata air bags, and the appointment of an independent monitor to oversee the company's compliance with a government consent order on the recalls. The death makes the 9th death worldwide attributed to faulty Takata air bag's. Takata inflators can explode with too much force, sending shrapnel into drivers and passengers. The pace of repairs of vehicles with faulty inflators has picked up significantly, Trowbridge said. 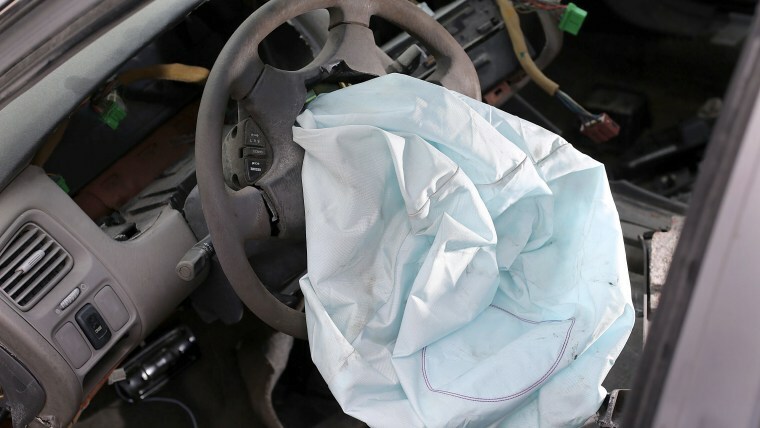 As of Dec. 4, more than 27 percent of recalled driver's side airbag's and nearly 26 percent of recalled passenger side air bags had been repaired, he said. At the same time, the department is expanding its list of vehicles to be recalled.